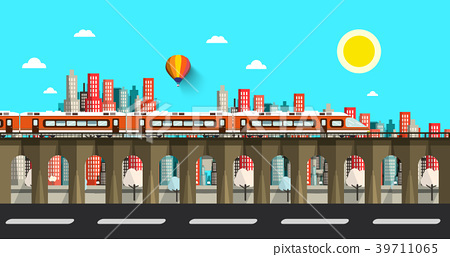 Modern Train in City. Vector Flat Design Town. 图库插图: Modern Train in City. Vector Flat Design Town.